Do your customers savor the aesthetics of your business surrounding? Engage your customers further with a 360 degree picture on Google Search and Google Maps. Email Marc - Web Tech Czar to get your business photography on Google Maps and Google Search. Marc is also an Asheville Google Local Guide and an Asheville Google Official City Partner with Google and Asheville SCORE. Is Your Business Found in Downtown Asheville? Google Search and Google Maps provide outstanding search tools for your business. 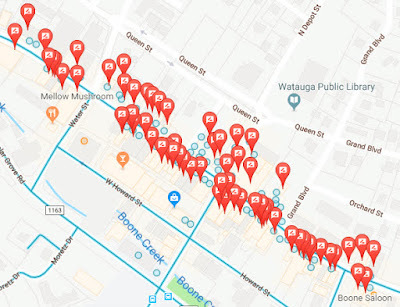 Are you listed on Google Search and Google Maps in Downtown Asheville NC? 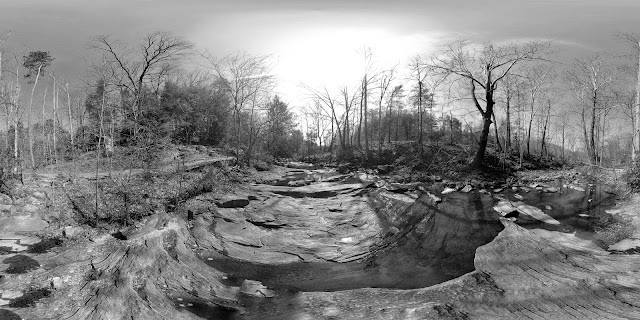 Having an business profile with current photos, videos, panos, and spherical 360-degree photography adds to the visual appeal when an individual finds your Asheville business. Allow customers to see inside your business with virtual tours, 360-degree photography of your business for engaging spherical photography content. Need help? Contact Marc@WebTechCzar.com or call 828-367-7570 for help getting current images on your business profile. December brings the season of holiday colors; reds, greens, and Carolina blue skies. Keep your customers informed of new products, colors, styles with business posts that include photography and videos. In Western North Carolina and the Asheville Metro area, contact Marc@WebTechCzar.com or 828-367-7570. A business, non-profit, or a church has assets of people, community, and buildings. 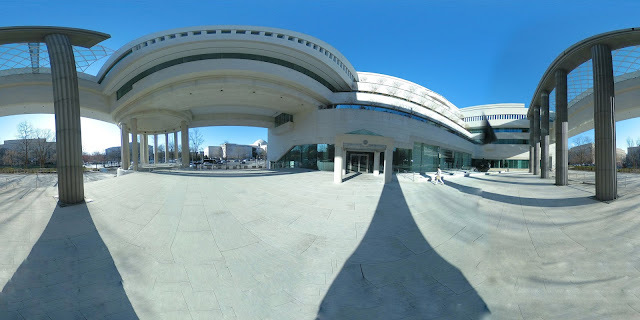 Share the architecture photography and perspectives on Google Search and Google Maps. 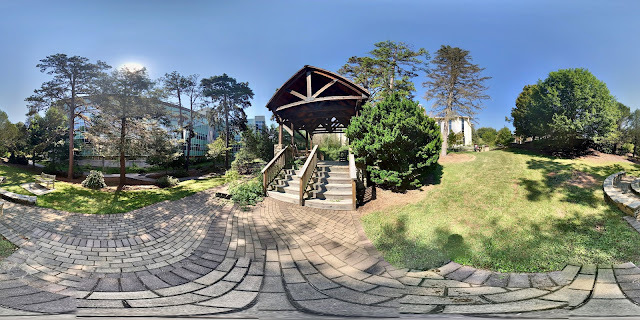 The 360-degree image on Google Search and Google Maps. 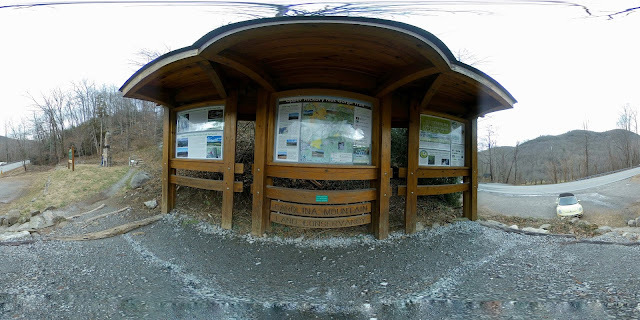 Provide virtual tours with several 360-degree spherical pictures. Contact Marc today to learn more at marc@webtechczar.com or 828-367-7570. Lifelong learning is full of curves and lights of new perspectives. Find the Osher Lifelong Learning Institute (OLLI) local guide photographs on Google Search and Google Maps. 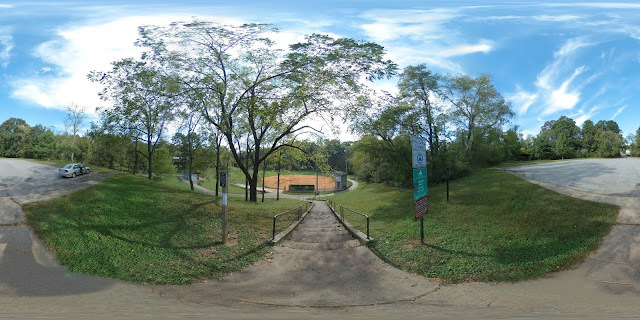 Note how 360-degree photographs are more engaging and provide the user's ability to completely see the surroundings. Please don't box your traditional customers. Give them new photography and video perspectives on your business. Let them find the UNCA Highsmith Student Union Post Office on Google Maps and Google Search. Learn more from Web Tech Czar by contact Marc at 828-367-7570 or marc@webtechczar.com. From the trees to the sidewalks to the sky. 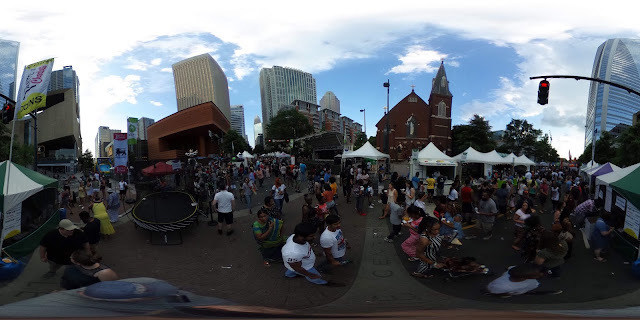 360-degree photography engages mobile and desktop viewers! 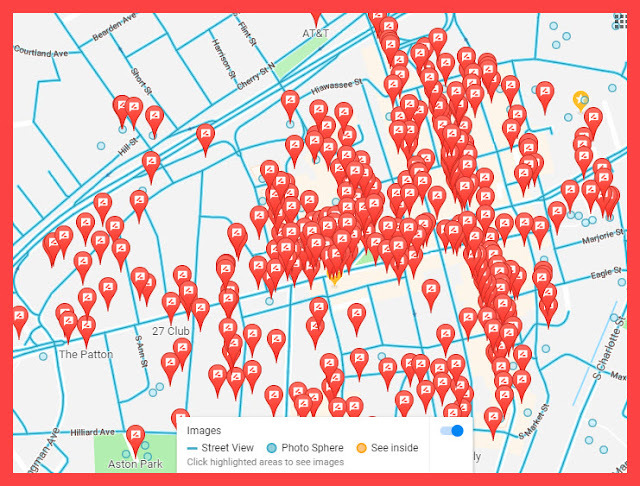 Even better, be found and show engaging photography on Google Maps and Google Search. Please email MarcCzarnecki@WebTechCzar.com to learn more. University of North Carolina (UNCA) have a selection of many outstanding locations as respites from their studies. Do your customers see a 360 degree perspective and a virtual tour of your business style? Contact Marc at 828-367-7570 or marc@webtechczar.com to learn more about engaging your customers with GYBO photography and videos. Trusted Photography As consumers, we navigate the internet to prepare for a purchase. 24-7-52 Visibility An indoor street view of your business is a 24-7-52 salesperson. It provides cost-effective visibility and confidence to prepare for the purchase. Business Search Listing Google is synonymous with search and your GYBO business listing can be one of the first views. Act Today Marc is an experienced small business mentor and photographer. Reimagine life and art in 1925. Flash forward, engage with 360 photography and the many real possibilities of engaging at every age with Older American's Month #oam18. Do you know the 8 domains of livability? Domain 1: Outdoor Spaces and BuildingsDomain 2: TransportationDomain 3: HousingDomain 4: Social ParticipationDomain 5: Respect and Social InclusionDomain 6: Civic Participation and EmploymentDomain 7: Communication and InformationDomain 8: Community and Health Services We can be proud the YMCA is engaged with several of these domains. With AARP, All About Real Possibilities, Web Tech Marc Czarnecki is providing communication and information spheres of education and knowledge through area YMCAs. Support your YMCA and AARP today. Technology Education Knowledge (TEK) opportunities are here. When you step-up to the business stage, you'll need to leverage all of your marketing assets, including photography of your business. However, lenses of a flat picture may not effectively show the breadth to your audience. Contact Marc@WebTechCzar.com to schedule your virtual tour photo-shoot. Your customers will be extra happy to experience your business before their visit! Email Marc at 360sphere.biz to create a 'pup-view' of your local business. Make impressions of your business with photography. Photographs can provide paths of which your customer will follow. 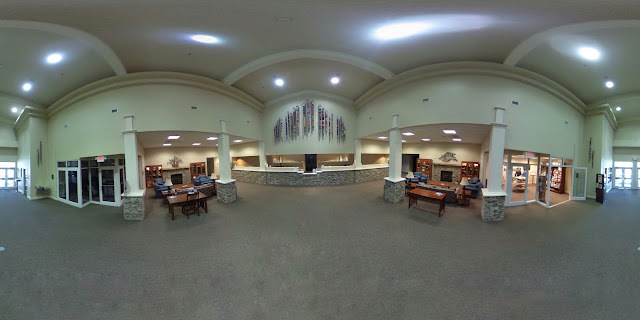 Schedule your 360-degree virtual tour photo-shoot with Marc@WebTechCzar.com today to provide a path for your customer to find your business online on Google Maps and Google Search. The virtual tour is your 24-7-52 that allows customers to see the inside of your business. Also, please, click on the image to see this 360-degree image on Google. A brick and mortar business has a major investment in their building. 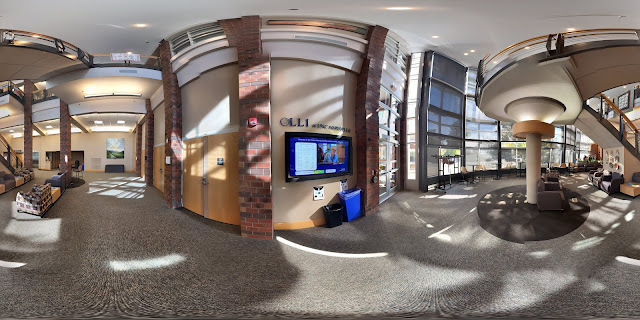 Do you showcase your building with a virtual tour into the doors? Contact Marc@WebTechCzar.com today to schedule your 360-degree virtual tour. As a business person, you command the marketable direction of your customers. Your customers plan, search, and navigate with their smartphone. Are you bridging the view of business with a current 360-degree image and virtual tour? Contact Marc today at Marc@WebTechCzar.com or call 828-367-7570 to schedule your business photo-shoot today. Traveling to a town you've never been to? 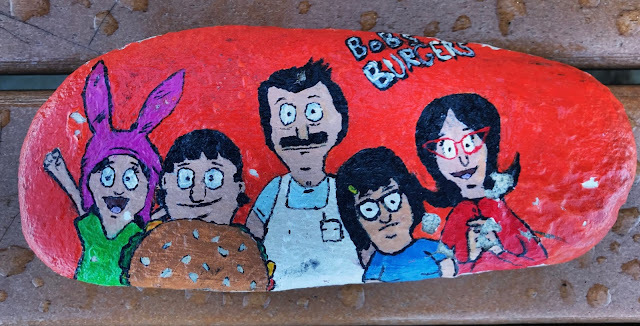 You 'Google search' for burgers nearby and find 'Bob's Burgers;' however, you want to see a virtual tour of the restaurant to gain insights to if you and your family want to visit the business. Be found on 'Google search' and provide a virtual tour of your business to help our out-of-town guests. Email MarcCzarnecki@WebTechCzar.com or call 828-367-7570 to schedule your photo-shoot to get found and make an impression on Google search and Google maps. 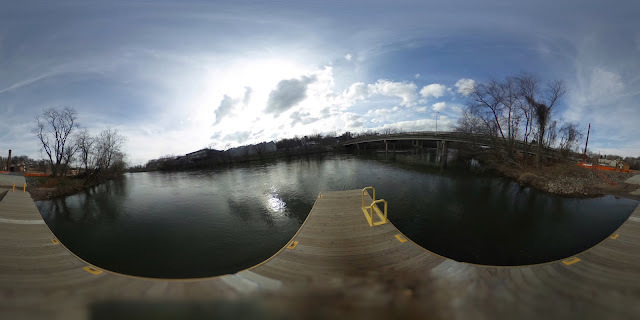 The new Craven Street Bridge boat ramp and dock are awaiting the summer months. Put on your shades and get ready to absorb the upcoming months on the French Broad River in Asheville, NC. 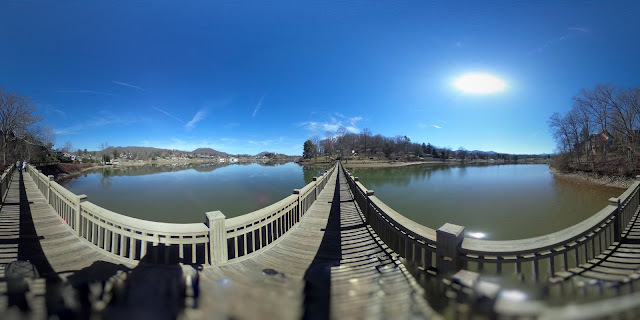 If your business is located in Asheville, call 828-367-7570 or email MarcCzarnecki@WebTechCzar.com today to schedule the 360-degree virtual tour photo-shoot of your business assets and help the tourist find your business. Late winter presents some awesome compositions with spherical photography. 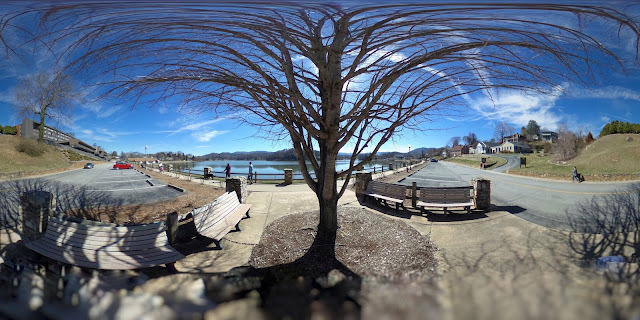 Although there weren't any roses blossoming, this flat-view of the linked spherical picture gives the appears of a tree ready to bud and provide shade for walkers at Lake Junaluska. Do you share your non-profit or business internal and/or external assets of your location? Call Marc today to schedule your Spring Virtual Tour photo-shoot. There are many nature trails to explore. Before you hike, you research and gain an understanding of the trail. Businesses and their customers are the same. Customers will plan their visit by searching and reviewing maps to understand how and where to find a business. Then, if there is a virtual tour; it reinforces the business journey. Get your business on the maps and provide a virtual tour. Contact Marc today at 828-367-7570 or Marc@WebTechCzar.com. 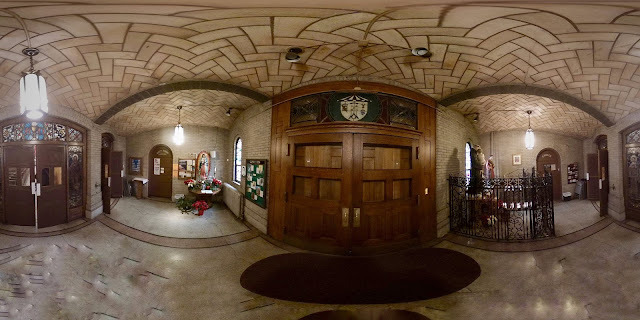 Share the beauty with your parishioners, customers, or clients with a 360-degree image. Further, engage them with a virtual tour on Google Maps. Contact Marc today at marc@webtechczar.com to schedule your 360-degree photo shoot and virtual tour. 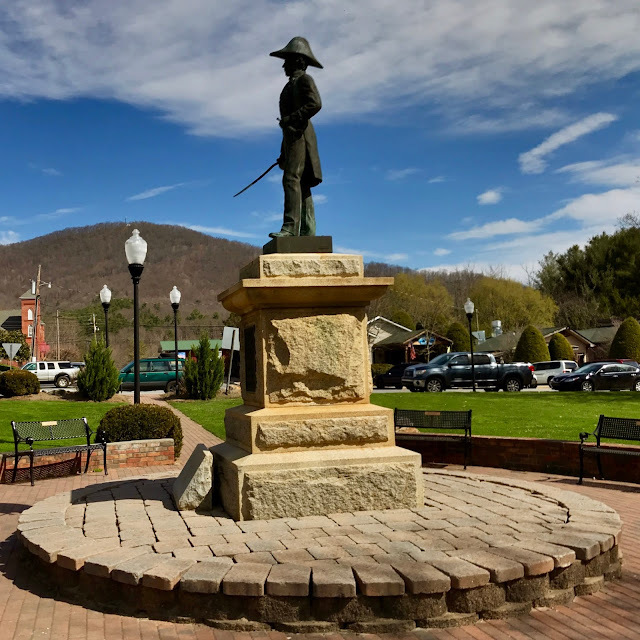 Plan your Boone, NC visit to King Street visit with Google Maps (and the pegman view to browse Street View images). The yellow pegman puts the blue circles of locations of Street View images (bottom right of a desktop computer view / Google Street View app on mobile). When clicked, the small blue circles provide a storefront 360-degree view of the area business. Do you want a 360-degree virtual tour for your business? Contact Marc today at marc@webtechczar.com.